A Reboot of the In the Know Podcast, where we present an overview of recent news and events regarding public policy and its effect on the information commons. In this episode, Michael Weinberg and Alex Curtis discuss the following hot topics of the week: the Fring / Skype mobile video calling battle, PK's "third way" reclassification filing, new business models for the music business, PK's Allvid filing, and Brazil's copyright reform proposals. Want to subscribe to our podcast? Click here for the MP3 feed and here for the mixed audio/video feed. Today, Public Knowledge's Director of The Global Knowledge Initiative and Staff Attorney, Rashmi Rangnath is testifying before the US Trade Representative on the "Special 301" process. You can read her testimony here (PDF). There is not a webcast or official live coverage, per USTR rules that "prohibit the use of electronic media in its hearing room." So, despite this ban, we are relying on reports from the hearing room via twitter (using the #ustr hashtag), and hope to bring you more coverage as well. If you're not familiar with the Special 301 process, the latest 5 Minutes with Harold Feld does a great job explaining what's going on. So does Rashmi's prior blog post — that encouraged so many of you to write comments to the USTR. Free Culture X, a conference of Students for Free Culture, will be held February 13th at the George Washington University in Washington, D.C. Keynote addresses will be given by Harvard Berkman Center co-founder Jonathan Zittrain, PK President and cofounder Gigi Sohn, and the director of American University's Center for Social Media, Pat Aufderheide. Yesterday, the MPAA and RIAA made a giant political misstep by refusing to participate in a debate about three strikes. In doing so, they exposed the public and a number of US policy makers to policy that would strip Internet subscribers of their constitutional due process rights. On Tuesday and Wednesday, I attended this year's State of the Net Conference beautifully orchestrated by Tim Lordan and his crew at the Internet Caucus Advisory Committee. When last we spoke to you, back in May, about HR 1319, it had recently been introduced and was just having a hearing. The bill's sponsors want you, the consumer, to be protected from software that can share the private and valuable files on your computer with others via the network. The original bill, in name only, focussed on P2P file sharing software, but the language of the bill actually did very little to limit its scope. Today, Public Knowledge has obtained the bill's new language and tomorrow the bill will be marked up in full Committee, likely with little complaint. Today, American University’s Center for Social Media and AU Washington College of Law’s Program on Information Justice and Intellectual Property, together with Stanford Law School’s Fair Use Project have put together a straight-forward video on what fair use is and isn’t in the world of online video (and beyond). The video is a 7 1/2 minute synopsis of what you’d learn if you had read their Code of Best Practices released in July 2008 which we covered here, and makes understanding fair use, and its importance in our society, easy. Embedded below is the video. Kudos again to all that were involved. Every three years, the Copyright Office holds hearings to listen to commenters suggestions for exemptions to the Digital Millennium Copyright Act’s prohibition on circumvention of access controls. We’ve previously written about the handful of exemptions that the Office has granted (which expire and must be renewed every three years). This year, we’re on the ground and live-twittering what’s going on. Today, Mehan is manning the Public Knowledge twitter account picking out a number of choice quotes and responding to questions. But we’re not alone at the hearing. A number of twitterers are there, and you can follow the related tweets using the #dmca1201 tag. Today, Prof. Pam Samuelson and co-author Tara Wheatland have published a draft of an article that puts forth the need for copyright reform, specifically to statutory damages. I have to confess I'm still digesting it, but I wanted to put this post up so others could learn about it and comment. The article gives the reader an amazingly thorough understanding of copyright damages (primarily statutory, but there's lots of background on actual damages, too) under US law as it's evolved. All of that provides a context for the authors' case for how to reform statutory damages, as the "regime has evolved in a manner that results in too many arbitrary, inconsistent, unprincipled, and grossly excessive awards and that reform is needed." Samuelson and Wheatland provide ways to refocus the purported legislative goals of statutory damages of "compensation, deterrence, and punishment" so that statutory damages are realigned with principles of due process. The article makes a number of suggestions for how to address the problem, including principles to guide courts' interpretation of the statute and what Congress could do to make the code clearer. The article, too, questions whether statutory damages even serve a useful purpose under copyright law, and whether they should be limited to owners who have registered claims. Statutory damages are a very important facet of the current copyright debates, and are likely to be in the spotlight during this 111th session of Congress. This article will provide its readers an amazing depth of understanding of how we got here and useful guidance on how to address some of the problems. Kudos to its authors. The New York Times reports today that despite the hard times we're all experiencing, box office ticket sales are up 17.5% this year. That's great, it's clear that people need some entertainment right now and there's a lot of engaging and escapist films out right now. But how does this jive with the lobbying efforts by the MPAA to combat online file trading, like the recent push for copyright filtering as part of the stimulus package or last years PRO-IP enforcement bill? The studios' arguments just don't add up, while studio revenues clearly do. Stimulus Update: Content Filtering Out, Openness Language In. Not much to write beyond the title of this post, but here's a glimpse at the broadband provision of the final stimulus package bill. After our Action Alert this morning, we are still on red alert at PK. Thank you for your efforts to fax to and call Congress. It looks like the proposed amendment did not slip into the stimulus bill but the bill now goes to the closed-door conference process. Here's an attempt to get you up to speed. We've been talking about the topic for some time now, but some of you may not be up on the subject. The idea is that ISPs, using deep packet inspection, would match the files sent in the traffic of Internet users to a database of known movies and music (provided by Hollywood studios and the record labels). Infringement can’t be found through “network management” techniques. There are legal uses for copyrighted works even without permission of the owner. It would require Internet companies to examine every bit of information everyone puts on the Web in order to find those allegedly infringing works, without a hint of probable cause. Today we have some bad and good news. First the bad news: Cox Communications announced that it has a new way to manage it's network traffic; the problem is, Cox decides which packets go ahead of others. The story says Cox will prioritize the traffic it deems to be "time-intensive, like Web pages, streaming video and online games." Other services may be slowed: FTP, network storage, software updates, P2P, and Usenet. One of the big announcements at this years CES was from smartphone manufacturer, Palm, which introduced their newest smartphone, the Palm Pre. Jef, Mehan and I were able to see a demo of the new device the day after it was announced in a swank meeting room that was backlit in an orange glow and foam couches and pillows were shaped like stream-smoothed pebbles for seating. The demo was given by one of Palm’s software managers. It's gotten so easy to rent movies on the ?tv that my wife had actually rented one, 27 Dresses, three times. Yes, the money we've spent to rent this particular movie has added up to more than the cost of owning the video. No, I'm not bitter about it or anything. Earlier this week, I was helping her put some movies on the ole' iPod so she could have some in-flight entertainment for a work trip. Of course, she wanted to have 27 Dresses again, so I said, "Can we please buy this movie once and for all?!" Unfortunately, when I went to the iTunes Store, the movie was no where to be found--for rent or purchase. I wondered if anyone else had experienced this. I swore we rented it from iTunes, and verified it in my purchase history. The closest I could get to the movie was its soundtrack, it didn't appear to be available on the other movie download services either. This past weekend, the House and Senate approved an amended version of the Intellectual Property (IP) enforcement bill, now called the PRO-IP bill. As you'll recall, we at Public Knowledge have voiced our opposition to this bill numerous times in the past and have even called upon you to make your voice heard. We may not have been able to stop the PRO-IP bill from passing but with the help of our friends we were able to shore up the support of 41 Representatives who voted "no" on the bill. Now, it's time to thank those brave 41 Representatives, for standing up to the entertainment industry in an election year and fighting the good fight. With the help of your calls, the bill was amended and was stripped of some of the most troubling provisions seen in previous versions, including one that would grant the Attorney General the power to bring civil lawsuits against alleged infringers on behalf of copyright holders. However, PRO-IP still increases forfeiture penalties for copyright infringement and media bootlegging, meaning that any number of multipurpose devices—even those not owned by the infringer and those not directly tied to the offense—could get caught up in the net of forfeiture penalties. Congress may have passed PRO-IP thanks to overwhelming support from the movie and music industries but that doesn't mean that everyone supports the entertainment industry's agenda. 41 Congressmen and Congresswomen chose to stand apart from the pack on Sunday, voting against PRO-IP despite Hollywood's intense lobbying efforts. Please join us in thanking these 41 Representatives for standing strong on the issue of Intellectual Property enforcement and for working to protect the rights of users. Last week, the Senate Judiciary Committee gave the green light to S. 3325, the Enforcement of Intellectual Property Act of 2008. We need you to show them the red light, NOW! This intellectual property enforcement bill lets the DOJ enforce civil copyright claims and lets the government do the MPAA and RIAA’s intellectual property rights enforcement work for them--at tax payers’ expense. Here at PK, we've been keeping our heads down the past few days, trying to fight against some really bad legislation. Once we finally get word of one, another one popped up. There are three in all (so far) are four (another was introduced during the writing of this post!!!) and we're going to need your help to put them away. First up is the Senate's version of the House's PRO-IP bill, S. 3325, “The Enforcement of Intellectual Property Rights Act of 2008.” Rashmi's written a good breakdown of the differences between the bills, but that analysis may not hold up for long as we're hearing that, as you read this, a deal may have been made to nix the differences between the bills so a compromise can be passed with ease. A few weeks ago, Google organized and launched the Free the Airwaves campaign. PK, the other members of the Public Interest Spectrum Coalition, along with the Wireless Innovation Alliance are all in support of the campaign to get-out-the-word about the benefits of whitespaces and to get techies like you more involved in the effort. Visual artists say they have a problem, that no one can find their work, or at least match them as the owner of their work. We’ve said it time and again, the Copyright Registry fails visual artists, because images are not part of the online registry—so users can’t search by image, or even see a sample image of the work they’re looking for. We’ve promoted the idea of visual registries, to help owners upload digital images to a site like Flickr so that services like TinEye.com can index them and return meaningful comparative search results for users. Among the push-back we’ve had from the visual artists community with this idea, besides the cost and time issues of digitizing and uploading, is from the physical visual artists — like sculptors. Even though I believe that simply taking a few photos of the work would suffice to help users find the original owner, it hasn’t satisfied some. Enter Microsoft’s Photosynth, which just went public this morning. On August 1, the Federal Communications Commission (FCC) ruled that Comcast’s interference with its customers Internet traffic violated the Commission’s policies and was not reasonable network management. Today, the Commission released an Opinion and Order detailing its analysis and commanding Comcast to cease its discriminatory practices. “With today’s Order, the FCC acted to protect the rights of Internet users and set the precedent that unreasonable, discriminatory behavior like Comcast’s will not be tolerated. It agreed with public interest advocates and technical experts that Comcast’s conduct violated FCC principles and was not reasonable network management. Last week PK was sent an email by a concerned artist on, you guessed it, orphan works. Brian, as a painter and a writer, was very concerned about the proposed legislation, it's impact on artists, and PK's our stance on it. I replied to his email, trying to address his worries about the cap on damages we originally proposed (though we do not promote this any more since "reasonable compensation" is now where the ball has moved), and some of his specific concerns about what would be considered a qualifying search. In his reply, he invited me to try to break down the orphan works legislation and issue on a blog he writes for at MyArtSpace.com, a website that empowers artists to make a place for themselves on the web, to display their creativity, get exposure, discuss and critique ideas with others, and maybe even sell some art. It's a social network for artists. I, sadly, could go on for days on the topic of orphan works, so I suggested that the format be focussed on the concerns he believes artists really care about. He sent me a number of to-the-point questions and here are my replies. Thanks to Brian Sherwin for reaching out and his willingness to expose some potentially different views on MyArtSpace.com. I encourage anyone interested in the issue to leave a comment on Brian's blog, so we can ensure a good discussion of the issues. Do We Really Like the Taste of Apple's Remote-Kill KoolAid? Today’s Wall Street Journal has a story about Apple’s App Store for the iPhone. Clearly, having an easy way for mobile users to download apps is a good way to spur development and make money. According to Apple, over the past month the App Store has sold $30 million in iPhone and iPod touch apps. Of those sales, Apple should take in about $9 million, as it keeps about 30% of each app sold. While some application developers have complained about the revenue split, when one considers the costs associated with hosting the applications, cost of money changing hands, and general maintenance of the store, 30% is not unreasonable. What is increasingly unreasonable is the way Apple is controlling the App Store, both to the detriment of developers and consumers. I'm the sucker who just over a year ago got up at 5AM to sit in a line until 6PM to buy an iPhone. There are a lot of people like me, I met many of them in line that long day. It was actually a lot of fun, but had I known that if I had just shown up at the Apple Store at 7PM that night, I could have walked out with the same iPhone, since there was plenty of supply, I think I would have done the latter. Since June 29, 2007, I have been incredibly in love with this new computing platform called the iPhone, and I've written about it a bit before. Is this video fair use? You shouldn’t have to have a lawyer to know whether or not a user is fair. The good folks at the American University’s Glushko-Samuelson Intellectual Property Clinic and Center for Social Media have done it again and developed a Code of Best Practices in Fair Use for Online Video. It is a short 16 pages and easy to read, so you have no excuse to go check it out! I'd like to know what it would take to convince you, a visual artist, alive and creating today, that orphan works policy was not meant to apply to you? There are clearly tens of thousands of artists who are being scared out of the woodwork to write their representatives to stop orphan works legislation. If you're one of these artist, who are savvy enough to know how to go to a website and click a button to write your member of Congress, then more than likely, if someone wants to use your work, they're going to find you. Why? Because you exist. You're with-it enough to be part of this debate, which in all likelihood means that after a user puts effort into finding you, you will actually be found. In the House version of the orphan works bill there is a provision that creates a "notice of use archive," or NUA. The idea is that after a search, but before use, a user of an orphan work would have to file a statement with the Copyright Office that she intend to use the work. In this statement, she'd have to include a description of the work, any ownership info that she knows about the work, a summary of the search that was conducted, and her contact information. The Copyright Office would charge a fee for the service, probably at a significant price per page, as it has said in a letter to Congress (PDF). Why is Apple Scared of the Free Market with iPhone 3G? Disclaimer: I'm an Apple fanatic. I love its hardware, I love its software. I've evangelized the Mac platform to my friends, family and coworkers and I'm directly responsible for "switching" at least a dozen of them since becoming a believer myself in 2002. So, after you read this post, don't try to claim I'm an Apple hater, because nothing could be further from the truth. So, yesterday the iPhone 2.0 software and iPhone 3G were announced at Apple's World Wide Developer Conference, and both will hit the streets sometime in early July. Both software and hardware get some significant upgrades: faster connectivity, more services to connect to, 3rd party applications, true geolocation with A-GPS, etc. These upgrades come at a significantly lower upfront cost to consumers: $199 and $299 for the different memory capacities, 8GB and 16GB respectively. Fear, Uncertainty, and Doubt is spread by those who would rather see the orphan works legislation fail. This is our third Myths and Facts report on orphan works. MYTH: Unavailability of statutory damages means that owners cannot get compensated. This morning the Senate Judiciary Committee marked up their version of the orphan works bill, S. 2319, The Shawn Bentley Orphan Works Act of 2008. I live twittered the markup, but in the off chance you weren't following my tweets, the markup was fairly uneventful. The line was quite long for a markup. The usual characters (read: those who probably had line-standers) were at the front of the line nearest the entrance to the Judiciary Committee Hearing room. That didn't include us. The room filled up so we were directed to the overflow room to watch the happenings on closed-circuit tv. MYTH: The bills would take away copyright protection from every work a visual artist ever created! FACT: The bills do not take away artists’ rights. The bills set a limit on damages for users of a copyrighted work where the copyright owner could not be found, despite a search conducted in accordance with detailed guidelines that the bills lays out. Under these guidelines, lack of identifying information on a work would not be an excuse to use a work. After such a diligent search, in the unlikely event that an owner came forward after the use had started, the user would have to pay him a “reasonable compensation” for the use. The owner would also be entitled to an injunction in situations where the work was not incorporated into a new work. The bottom line is that good faith users are shielded from liability, and owners are paid if they surface. If you haven't seen our previous FUD reports, check them out here. MYTH: The bills would mandate registration of all visual arts in expensive, private registries. FACT: Neither bill contains such a mandate. Owners’ failure to register would not absolve users of their search obligations. The purpose behind the “visual registries” provisions is to help artists keep ownership information associated with their works and to help users find owners. In order to achieve this purpose, the bills contemplate the development of electronic databases of visual works in the market place. However, these registries do not have to be expensive. The bills do not require artists to use these services, nor do they require the services to charge a registration fee. Services that operate in the current marketplace, and provide services free of cost, could easily evolve into the visual registries contemplated by the bills. The bottom line is that the bills aim to encourage the market to solve a problem to help owners be found, but the bills do not require owners to register with these services. In case you missed it, you can write your Congressional representatives and ask for their support of orphan works here. You can stay up to date on the Facebook Cause: Rescue Orphan Works as well. We need your support for this important legislation. So, in the past week we've had a House Subcommittee markup of the House bill and the Senate was to mark up the bill on Thursday but they held the bill over until the following week. A markup hearing is a hearing without witnesses where the members propose amendments to the bill they're considering. Those amendments are voted on by the committee or subcommittee members, and then the amended bill is voted on as a whole to be moved out of the subcommittee to the full committee and then the full committee to the full body for further consideration (House or Senate). If you haven’t read about it, the New York Times reported yesterday that: Microsoft May Build a Copyright Cop Into Every Zune. Essentially, the large content provider would withhold their content from a distributor unless the distributor put in effective measures to prevent against piracy. We’re not talking about DRM here, we’re talking about filtering software, whether it resides on the playback device like a Zune or iPod, or in the software on a syncing computer that stores the consumers’ library of music and movies like the Zune or iTunes software. This software would troll your library checking for content that was somehow infringing or unauthorized. It may even be spyware that could report back to someone about the contents of your media library. Two orphan works bills were introduced to begin to bring balance back to copyright law--to help find owners and encourage new and creative uses of unexploited copyrighted works. Both the U.S. Senate and House of Representatives have introduced orphan works legislation (S. 2913, the Shawn Bentley Orphan Works Act of 2008, H.R. 5889: The Orphan Works Act of 2008), rooted in the same language based on the previous Smith Bill, which was based on the Copyright Office's recommendation. It's been a long time coming and from working with staff, I know they're very happy to have the bills finally introduced. Reps. Howard Berman (D-CA),Howard Coble (R-NC), John Conyers (D-MI), Lamar Smith (R-TX), (Chairman and Ranking Members of House Judiciary Committee Subcommittee on Courts, the Internet, and Intellectual Property and Full Judiciary Committee Chairman and Ranking Member respectively) and Sens. Patrick Leahy (D-VT) and Orrin Hatch (R-UT), and their incredible staff members are to be congratulated for working to address concerns of both the user and owner communities. Mark Simon wrote in Animation World Magazine last week about orphan works. I presume it was meant to be an in depth analysis of current orphan works legislation, but unfortunately he does himself and his readers a disservice because the article was factually shallow and didn't accurately portray anything ever offered up by this or previous Congresses. I was ready to post all the problems with it, but Meredith L. Patterson over at Radio Free Meredith did all the work for me--it's worth a read, so go read it first and then come back. Go ahead, I'll be waiting. While the market may value someone’s use of a creative work greater than another’s, copyright law makes no value distinction between the two. That may change soon, and creators should be worried. PK and a group of film makers told the House Judiciary Committee last week what we would like to see as key elements of orphan works legislation. The testimony was submitted by PK and the following group of independent film maker organizations: Doculink, Film Independent, International Documentary Association, Independent Feature Project, National Alliance for Media Arts and Culture, and Tribeca Film Institute, for the record for the March 13 House Judiciary hearing that Rashmi wrote about here. Women's Wear Daily is reporting that the American Apparel & Footwear Association and the Council of Fashion Designers of America have failed to meet a compromise on legislative language that would amend H.R. 2033, a bill that would prevent designers from making garments and accessories that look the same or substantially similar to protected designs. I just finished reading the live coverage of Apple’s iPhone SDK press conference. There was a lot to like. Apple spent about 70% of the event touting the ability of any Mac developer to use the same tools that are used to create Mac OS X applications on a computer to create feature-rich apps for the iPhone. iPhone applications developers appear to have pretty much the same access to technology that a traditional computer application developer would have. That's empowering. NBC-Universal, in a recent filing with the FCC, has argued that Comcast's interference with BitTorrent is justified. But contrary to its argument, the "800 pound gorilla" in the room is not "the tidal wave of unlawful conduct by BitTorrent users[.]" The 800 pound gorilla is whether or not Comcast's actual behavior was "reasonable." The outcry by Comcast customers and the public interest community should provide a strong hint that it was not. Comcast's bait-and-switch tactic of secretly changing the service it provides its customers is more important here than the theory of network management. The focus of this debate should be what Comcast actually did and said. Recently, Comcast responded to an FCC proceeding regarding it’s alleged blocking of bittorent traffic. In its discussion of how peer to peer uses the network, Comcast didn’t refer to a standards document, a software developer or even a network engineer, instead it referred to a member of Congress. Specifically, Representative Mary Bono Mack from California. Today the Wireless Innovation Alliance (a group of which PK is a member) sent a letter (PDF) to the Hill. In it, we ask members of Congress to see through the FUD that NAB has been spreading about interference. Much of the FUD about whitespaces is trying to fool the uneducated about what's being tested and what stage of the testing we're at. I wanted to try to catch you up on the latest goings on and clear out the fear, uncertainty and doubt. Yesterday, the Kojo Nnamdi Show spent some time discussing the Fashion Copyright issue that was the topic of a House Judiciary Committee hearing last week. House Judiciary again considers copyright for fashion design, and now auto parts! Yesterday, The House Judiciary Subcommittee on Courts, the Internet, and Intellectual Property, held a hearing entitled ”Design Law: Are Special Provisions Needed to Protect Unique Industries?”. Unfortunately, because the Judiciary committee had three hearings, two at the same time, they weren’t able to webcast this one or post audio feeds. Rashmi and I were there, for the whole thing (started at 2pm, ended at 5:30pm!). Testifying in opposition to the fashion bill was Steve Maiman, co-owner of Stony Apparel who produces young women’s clothing under the Eye Shadow clothing line in stores like Sears, J.C. Penney, Dillard’s, and Belk. Last week, many in the beltway attended the State of the Net Conference put on by the Advisory Committee to the Congressional Internet Caucus. The second panel discussion was on content filters. It was a lively panel, and how could it not be, Gigi and Cary Sherman were on it! The panel went on for an hour, which is kind of long for any one with just a casual interest to stream over the Internet (Real Player video). I wanted to make sure that folks saw some of what I thought were the more important statements about content filtering—straight from the source: the RIAA. Our fearless leader, Gigi Sohn, has been talking to the press a lot in the past week. 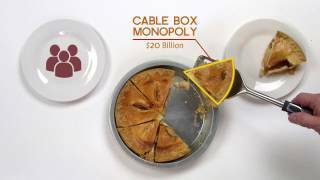 This mash-up video raises so many issues: copyright, fair use, DMCA, filtering, broadcast flag, and net neutrality. Take a look below. The first one to accurately identify why for each in the comments gets a piece of PK swag of their choosing. We plan to have food and drink, so please come and bring friends interested in these issues. And please RSVP so we know how many to plan for. As always, thanks to Joe Price for making DC CopyNight happen. So, the trip out to Vegas was a long one. Sherwin and I had a stop in Little Rock, Arkansas along the way. The total time was of the trip was about seven hours. Knowing this, I had planned to catch up on the second season of Heroes and was going to download it all to my iPhone the night before the trip. That’s when it sunk-in that NBC Universal pulled out of the iTunes Store. NBC offers their content via Hulu and NBC’s own site but both are just a stream - you can’t download or time shift shows to your Mac or PC, let alone your iPod or iPhone. So, I instead of watching new shows (well, at least new to me), I watched older shows I had already downloaded. Well, the time difference is wreaking havoc on me. It’s 5:30AM here and I haven’t been able to sleep for the past hour so I figured I’d try to be useful and report to you some interesting things from the Gates keynote, presuming my shoddy internet connection stays up (thanks Luxor!) and that I don’t fall asleep at the keyboard. Our friends at American University’s Center for Social Media, Director Pat Aufderheide and Peter Jaszi, co-director of the American University’s Washington College of Law’s Program on Information Justice and Intellectual Property, have studied the way we upload videos and multimedia online and the copyright implications. We've decided to get aggressive about social platforms here at PK. For a while, we've had a facebook group, and now we've started a Ning Public Knowledge group. Each offers something a little different. At facebook, you've got the large communities of people who are already invested in the platform. I'm hoping that they allow for group administrators to embed applications into group pages (until they do, we'll keep manually inputting our content). That's actually what I think the Ning group offers more of, is the ability to syndicate content. A lot of the attention on the PRO-IP Act has been on Section 104's compounding of damages provision. And rightly so. However, I want to bring to light the issue of criminal enforcement of copyright infringement, and the changes this bill makes to remove the current requirement of registration-before-enforcement. I'm an analog cable subscriber and was hoping to upgrade to an HDTV this holiday season, and apparently I'm not alone. Before I buy-in, I've been considering the freedom that "going digital" should give me compared to the old analog world. The primary reason I haven't "upgraded" to digital cable up to this point comes down to TiVo, it and the freedom that devices like it that connect to an analog coax cable give me. Digital technology is supposed to deliver more, not less freedom, isn't it? It's not clear that upgrading to digital cable gives me the freedoms I'm used to. Remember a little over a year ago when the Senate Commerce Committee distributed its own promotional brochure to gin-up interest in legislation? Well, looks like the House Committee on Education and Labor is taking a page out of the Senate’s handbook. Case in point is this PDF on the recent “The College Opportunity and Affordability Act of 2007” that Gigi blogged-on on Tuesday. The PDF is written and distributed by E&L staff (looking at the Properties of the file leads you to a Press/Outreach Assistant with the committee). A CNet News.com article received the document as a “fact sheet” but wasn’t all that critical of the “facts” that the committee is putting out. Here's a quick section-by-section breakdown (with commentary) of the provisions of the newly introduced IPEA by Sen. Leahy, S. 2317. Section 2: This section allows the Attorney General to bring a civil cause action for conduct that would otherwise be criminal infringement of copyright under section 506 of Title 17. This language comes from the old PIRATE Act, and as before, we believe that is an inappropriate use of federal funds to enforce private rights of action--something that rarely occurs under other parts of the law, and at those times, typically as a "public good" (as opposed to the benefit of an individual, movie studio or record label). Here, you have the DOJ acting as a copyright holder's private attorney. Gigi recently gave a speech in Boston where she highlighted a number of changes to copyright law that are needed to enforce copyright users rights. Two of the concepts deal with non-commercial personal use of one's own legally obtained content and the need codify the Sony Betamax standard of secondary liability for infringement, to ensure that developers and innovators of devices and software will continue to excite consumers with new ways to use the content they've legally purchased, and, shocker, even encourage them to consume more content. Recently a series of fun new features and games are hitting the market that I think highlight what we're talking about here in these reforms. Arg! Senate PIRATE Act Reintroduced. Arg! U.S. Senator Leahy (D-VT) just dropped the "The Intellectual Property Enforcement Bill Of 2007." We're still reading over it, but in the bill's provisions are at least parts of the old PIRATE Act from 2004 which gives the Justice Department the ability to file civil suits against copyright infringers. It also looks like there's a provision that amends the DMCA to change the definition of a trafficker. Hey, I thought reopenning the DMCA was off limits?! There are other provisions in this bill, that will likely sync-up with a soon-to-be-offered enforcement bill in the House of Representatives by Rep. John Conyers (D-MI). What-the-iPhone does unlocking have to do with the DMCA? There's been a lot of talk lately about the courageous and clever developers untethering the iPhone from the shackles of the AT&T network. I guess I'm the only one who's actually satisfied with AT&T's performance. Anyhow, a lot of the flap about the iPhone unlocking has come from the industry side: reportedly, AT&T has released the hounds after these tinkerers to prevent them from releasing software and hardware that would free the iPhone from the anointed wireless network. 2007 IP3 Awards: Nominate Now! Over the past four years, Public Knowledge has recognized leaders in the fields of Intellectual Property, Information Policy, and Internet Protocol, with the IP3 Award. These are individuals who over the past year (or over the course of their careers) have advanced the public interest regarding one of the three kinds of "IP." While these increasingly overlapping policy arenas pose important challenges for us, they also create important opportunities for creative individuals in each of the three underlying fields to advance the public interest. We'd like your help in recognizing leaders in the fields of Intellectual Property, Information Policy, and Internet Protocol. As with the past three awards, we're asking you for nominations. Please email your nominations to IP3nominees@publicknowledge.org, or you can leave a comment to this post, below. All material is protected by copyright laws of the United States and all countries throughout the world. All rights reserved. Any unauthorized exhibition, distribution, or copying of this film or any part thereof (including soundtrack) is an infringement of the relevant copyright and will subject the infringer to severe civil and criminal penalties. This copyrighted telecast is presented by authority of X. It may not be reproduced or retransmitted in any form, and the accounts and descriptions of this game may not be disseminated, without express written consent. Gigi just posted to The Huffington Post regarding today’s FCC decision in the 700MHz debate. Sherwin wrote a perspectives piece at News.com on the webcasting royalty debate and how the recording industry is intentionally confusing the issue by complaining about stream ripping and attempting to introducing DRM requirements. Today, the House Energy and Commerce Committee Subcommittee on Telecommunications and the Internet held an oversight hearing of the FCC and heard from Chairman Kevin Martin and the other four Commissioners. A number of topics were discussed, but the big one looming was the 700MHz auction. After a long week, PK takes a swim. This has been a long week, among other things, filing documents at the FCC regarding the 700MHz auction, filing comments at the FCC on the proposed XM/Sirius Merger, combatting the 700MHz media spin, and attending hearings on competition in the wireless world. Today we had a over-due appointment with the ducks. Well, DUKWs more precisely. In DC there’s a tour company that drives these old open-air amphibious people movers around the city and in the Potomac River to get a unique point of view of our nation’s capitol. We had a great time, thanks to Captain Kent. Below is a slideshow of the fun we had. Last Thursday, the musicians came to town. During the day, the good folks at the Future of Music Coalition hosted the wildly popular band OK Go for some visits on Capitol Hill to talk about net neutrality and FMC’s Rock the Net campaign. To us YouTube fanatics, OK Go is famous for their fluid backyard dance moves and treadmill acrobatics. After leaving the Hill and before making way to their concert at Merriweather Post Pavillion, they made a pit-stop at FMC’s offices to spend some time with a few of their fans. more tomorrow, but I managed to buy the iPhone and it's great! Tomorrow night at the Rock and Roll Hotel on DC’s up-and-coming H-Street, the Digital Freedom Campaign will be hosting a concert with Baumer, DC-based Exit Clov, and Jonathan Coulton (there may be a few spaces left—email here if you’re interested). The merits of the WIPO Broadcast Treaty are currently being debated in Geneva, Switzerland. PK's own Sherwin Siy is there with the low-down on the first day of the Second SCCR Special Session. You can download this episode directly or subscribe to In the Know Podcast Feed for automatic downloading to your favorite pod-catcher. The LA Times is reporting that AT&T and Hollywood are getting together to take a bite out of piracy. AT&T's reason for this new-found partnership comes from the realization that it distributes Hollywood's content when it sells its Uverse TV service. James W. Cicconi, an AT&T senior vice president is quoted in the article as saying: "We do recognize that a lot of our future business depends on exciting and interesting content." Piracy competes with that new revenue stream, so AT&T had better take an active role in protecting Hollywood's content. Digital preservation, online sharing, website archiving: these are just a few of the issues not addressed in USC Title 17 S. 108, the law governing copyright exceptions in libraries. That's why the Library of Congress has convened a study group of academics, librarians, and publishers to address the new needs of libraries and authors in a digital environment, and to make recommendations to Congress for change. The Section 108 Study Group has been meeting since 2006 and plans to issue its report sometime this year. In this episode of PK's In the Know Podcast, I sit down with Peter Hirtle, Intellectual Property Officer at the Cornell University Libraries, and one the members of the study group, to talk about the challenges posed for the study group, and some potential solutions. You can get the interview here|RSS. We're still waiting on one more to arrive but since two of them are already blogging, it's a good time to finally and formally introduce the Summer 2007 interns to you. Please read all about Brendan, John, Elizabeth, Ben, Jacob, and Kim on our PK Interns page. This episode of In The Know Podcast is something a little different—it’s a video, so you’ll only receive it automatically if you’re subscribed to the media feed, or you can view it in your browser in this post after the jump. Last month, Rep. Bill Delahunt (D-MA) introduced HR 2033, the "Design Piracy Prohibition Act," to the House Judiciary Committee to extend copyright protection to the fashion industry. In this episode of the In The Know Podcast, I discuss the implications of fashion copyright with Christopher Sprigman, an Associate Professor of Law at the University of Virginia. 700MHz spectrum reform with Media Access Project's Harold Feld. The folks over at TWiM do another great job of making a complex issue simple and even interesting to the casual listener. This time (MP3), it's on the topic of Internet Radio an the changes in compulsory licensing payments that threaten that diverse and independent method of distribution. They pull in net radio pioneer and MacBreak Weekly regular Scott Bourne and Pandora Founder Tim Westergren to discuss the history of the issue and discuss the current problems. UPDATE: We now have a bill number: HR 2033. Although we don't have a formal House bill number yet, news reports are saying that Reps. Bob Goodlatte and Bill Delahunt have reintroduced last year's bill, renamed Design Piracy Prohibition Act, which aims to protect fashion designs that are registered. Protection would cover not only clothing but accessories as well, for a three-year duration starting at the date of registry, though the article suggests that some would like to extend the protection from the three years from date of last manufacturer instead. We anticipate the bill will be introduced in otherwise the same form as last year. Jerry Brito saw our previous posts on notable podcasts and let me know about the Tech Policy Weekly Podcast [subscribe here] by the good folks over at the Technology Liberation Front. April 5th's episode touches on the Sirius-XM merger, EMI dropping DRM, Verizon's wireless broadband caps, and an FCC violence study. This is my first exposure to the TPW podcast and I just finished listening to the most recent episode. I really like the round-table format which lent itself to a good discussion of the issues, the audio quality was top-notch, and the length was just right. audio quality: new versions of songs, higher quality 256kbps AAC $1.29 / track. easily upgrade entire library for $0.30/song; album = same price. EMI: DRM music is going to be available to all retailers. Jobs: Apple reaching out to other labels--hopes 1/2 of songs will be DRM free by the end of the year. The right thing for the customer in the future is to tare down the walls of interoperability. Q: Is this more complicated for consumers? The other day I suggested a few good podcasts. Our Open Access expert Peter Suber, saw the post and suggested another podcast episode, this one from The Chronicle of Higher Education, an interview with Brewster Kahle, where he discusses the Open Content Alliance and copyright. Perhaps we should come up with a page with interesting podcasts? If you're not listening to or watching podcasts, get your head out of the sand and embrace the 21st century! If you're just starting out, and you're an active reader of the PK policy blog, a good podcast to start would be This Week in Media [subscribe here]. It's made by the good folks over at the Pixel Corps, and on TWiM they discuss the newly-available-to-consumer tools that are spurring professional-grade user generated content, and the business models and policy surrounding that new media creation. A problem lurking around all these events is the steady erosion of the right to fair use in favor of the rights of content owners, who have found the simple threat of copyright litigation is a valuable weapon. The Wall Street Journal’s Personal Technology Guru Walt Mossberg writes and tells us his editorial thoughts on the problems for consumers and innovators caused by current copyright law and the DMCA. He suggests Congress specifically address consumers’ problems using the digital media that they legally obtain on their devices of choice, and their ability to share small clips of others content. Jeff Rabhan, who manages artists and music producers including Jermaine Dupri, Kelis and Elliott Yamin, says CDs have become little more than advertisements for more-lucrative goods like concert tickets and T-shirts. "Sales are so down and so off that, as a manager, I look at a CD as part of the marketing of an artist, more than as an income stream," says Mr. Rabhan. "It's the vehicle that drives the tour, the merchandise, building the brand, and that's it. There's no money." Another PK In The Know was released today, so that means a PK In The Know Podcast, too. Earlier this year, the Congressional Internet Caucus Advisory Committee held its always relevant State of the Net Conference 2007. One of the panels was on user generated content (or ugc), titled "User-Generated Content - Can Copyright Tolerate Mixing & Mashing?." Members of the panel included, Pam Samuelson, Rob Pegoraro, Jim DeLong, and Steven Starr. It was a good discussion, and you can watch the video here (Real Video). You’ve probably read the news this morning about Viacom suing YouTube and Google for the videos users upload, some of which includes clips of Viacom’s content. We don’t think it makes a lot of sense. Users cannot only upload clips of main stream media’s content, they can comment on them, video comment on them, remix them as comment or criticism, etc. Despite the fair use argument, does it make much business sense to sue a website that likely makes you more money, not just potentially from ads, but from additional exposure and user/audience involvement. An involved and excited audience leads to more consumption, more eyeballs, and more revenue for the creator. At today's House Judiciary Subcommittee on Courts, the Internet, and Intellectual Property hearing, titled "An Update - Piracy on University Networks," we heard from legislators that they're very concerned about "piracy" on campus networks. You should be able to watch the video of the hearing here. The common theme of the solutions was not only educating students (which all of the witnesses said that they were working on collaboratively), but for campuses to employ technology to filter the packets flowing over the network. Is it better than ever? This time around (and try OpenCongress.org's page on it too! ), Mr. Boucher went about things a little differently. In previous versions of his bill, he tackled the issue very simply. He addressed the problem: although fair use is a limitation to the rest of copyright, its powers were useless against the anti-circumvention provisions of the DMCA; by adding an amendment that made it clear that Sect. 107's fair use applied. Tomorrow, Friday, February 23, the University of Pittsburgh's Department of Computer Science will be holding their 7th Annual Computer Science Day. 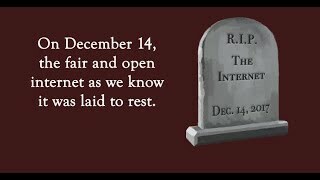 At 2PM Eastern, PK's own Communications Director Art Brodsky will be part of a debate, entitled: Is the End of Free Internet Near? A Public Debate on Net Neutrality[PDF]. The event was covered in Pitt News, and the webcast is archived here. Good luck tomorrow, Art, and do us proud! From Sascha Meinrath at MuniWireless, we learn that the Chicago Digital Access Alliance have developed a 10-point set of principles for every locale to consider when tackling the issue of municipal WiFi and digital inclusion in general.